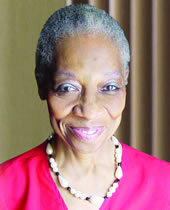 In 2002, at age 67, Dr. G. Jeannette Hodge, Ed.D., unveiled the Media Training Center within the Black Arts National Diaspora (BAND) to provide local students the opportunity to write, direct and produce films while learning the business and artistic avenues of entertainment. A veteran educator and performing artist, Dr. Hodge understands the social and economic importance that the arts can have on a community – that’s why she founded the first chapter of BAND in New York in 1982. Ten years later, she brought BAND home with her to her native New Orleans and since then she has influenced thousands of local children, helping to nurture a deeper understanding and appreciation of cultural arts. Often referred to as “Mama G,” Dr. Hodge has devoted countless hours to helping prepare people in their artistic professions. Many established and aspiring artists have looked to Mama G at some point in their career for advice. She smiles when she talks about the numerous students who have gotten scholarships, grants, even jobs through BAND. But she her work doesn’t end with the students. Mama G wraps her arms around her community, drawing people in with her energy, enthusiasm and love. Her passion helps drive the continued sponsorship and patronage of art throughout the world. Believing that art is life, Mama G nurtured the New Orleans chapter of BAND from its meager beginning at her home to a vibrant and deep-rooted organization that is now comprised of three facilities, including a 17,000-square foot building that is currently under renovation, housing for artists, a museum and classrooms. Her vision is also changing the face of BAND. In 2006, she plans to create a radio and technology center, as well as two additional museums and a new theater that can house more than triple the audience size. Vision, devotion, compassion – that’s Dr. G. Jeannette Hodge… Tenet Choices Champion.